We recommend installing Parallels Desktop updates as soon as they are available because they contain critical fixes and improvements. 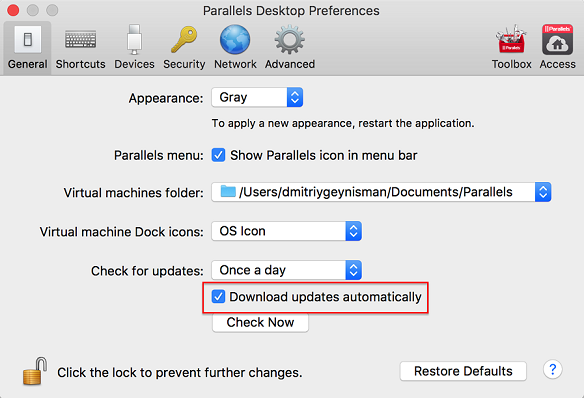 If an update for your Parallels Desktop version is available, you will see the option to download and install it. From the Check for Updates drop-down list choose how often would you like Parallels Desktop to check for updates. The latest updates are also available for manual download. 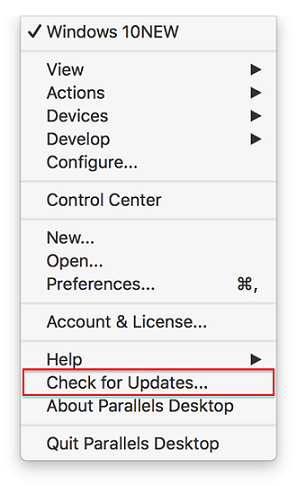 Use this option if you are unable to check for updates from within the product. To download earlier versions of Parallels Desktop please refer to KB 5802.